The mission of the RC&D Council is to facilitate economic growth that is both environmentally sound and socially equitable through the promotion of a partnership between rural and urban conservation initiatives. 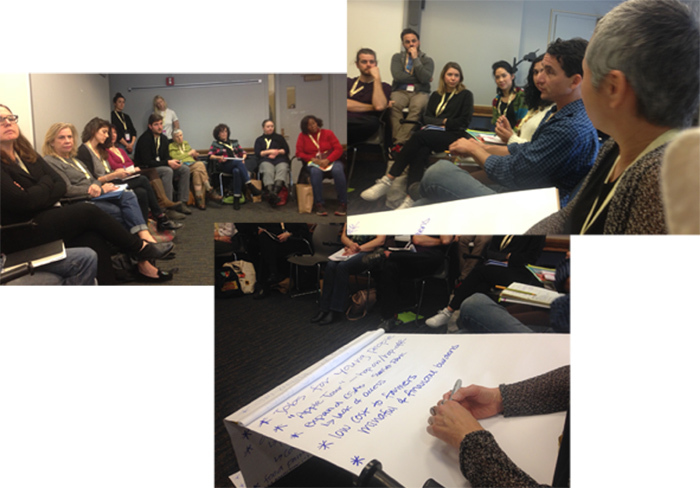 On March 15th, 2016, we held two campaign action sessions at the Just Food Conference. 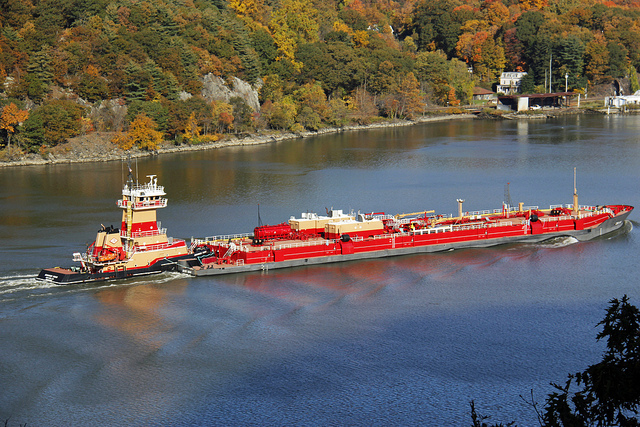 These were opportunities to gather interested participants to discuss, brainstorm and react to the concept of a barge used to transport agricultural products from upstate to downstate via the Hudson River. Similar to our last hack, we experienced a wave of interest and support. In addition to generating ideas, and awareness, we discussed how to build a movement around our food waterway concept. Some participants had long been interested and involved in issues around waterways and transportation and some were just excited at the prospect of a means to educate the public about the complexity of our regional food system and the value of connecting to the source of one's food. For details on our sessions at the Just Food Conference, please see our latest post on the Food Waterway blog. 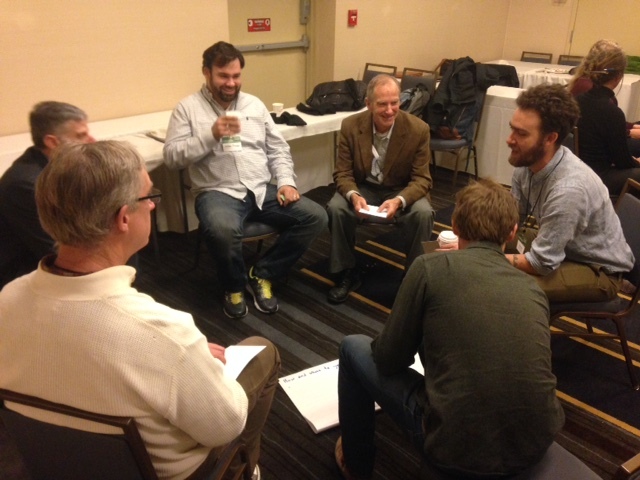 We held our first FoodBargeHack at the Northeast Sustainable Agriculture Working Group's annual conference in Saratoga Springs on November 13th, 2015. Twenty of us gathered around lunch to debate, innovate and visualize what a new food transportation system down the Hudson River would look like. For detailed notes from the event, please see our Food Waterway blog. 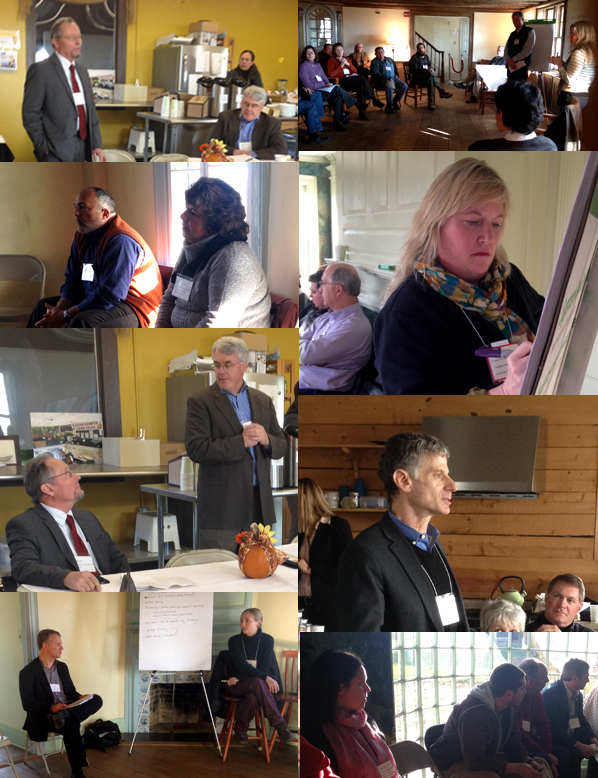 On November 20th, 2014, LHLIRCD produced a great summit, bringing together over 50 stakeholders, policymakers, farmers and experts to discuss, share and debate issues around farmland protection and farm viability in the Hudson Valley. The day began with a stellar lineup of speakers including Ag & Markets Commissioner Richard Ball, Jerry Cosgrove, Local Economies Project; co-founder of the Hudson Valley Agricultural Partnership, John Brennan, Farmland Protection Specialist, New York State Ag & Markets, Steve Rosenberg, Senior Vice President, Scenic Hudson and Elizabeth Higgins, of the Dutchess County Cornell Cooperative Extension. The rest of the day featured roundtable discussions led by expert moderators and debriefs on what was discussed in each of the subgroups. Attendees had time to network with influential colleagues in their respective fields during a delicious, locally sourced breakfast and lunch as well as learn from, and share with, one another during the summit's more structured sessions. The goal of this summit was to bring a diverse group of people into the same room and for them to brainstorm new solutions for a more sustainable agricultural sector in the Hudson Valley. Not only did participants come up with great ideas, they made great contacts with whom they were motivated to collaborate and effect change moving forward. Please find below the summit program; the final report summarizing and collating notes from all the sessions, evaluation surveys and presentations; and PowerPoint presentations by three of the presenters. LHLIRCD traveled to NYSERDA's offices in Albany in early April 2013 to present the latest findings on the Hudson River Foodway Corridor Project. New York State Energy Research and Development Authority (NYSERDA) funded research on the feasibility of the project and this presentation included a summary of those findings. Shino Takanawa, LHLIRCD Board Member, presented data and analysis provided by three consultants - Karp and Associates, New West Technologies, and Roberta Weisbrod - on agricultural product options, transportation options, and logistics associated with bringing agricultural products to New York City via a barge down the Hudson River. The turnout at the event was great with attendance by members of the office of Senator Gillibrand, the New York State Association of Counties, the New York State Department of Transportation, New York State Canal Corporation, New York State Ag & Markets, and NYSERDA. In addition, a number of organizations were represented by those who participated over the web via live streaming, including the Apple Growers Association, United States Department of Transportation Maritime Highway, and New West Technologies. Ms. Takanawa's power point presentation peaked interest and spurred a lively discussion on next steps.